Like some of you know we are the South west Florida reps for WTCares (The National Welsh Terrier Rescue Organization). So far we had a busy 2018; we got 10 dogs in rescue so far. This 2 girls are the ones we are still looking for a home. 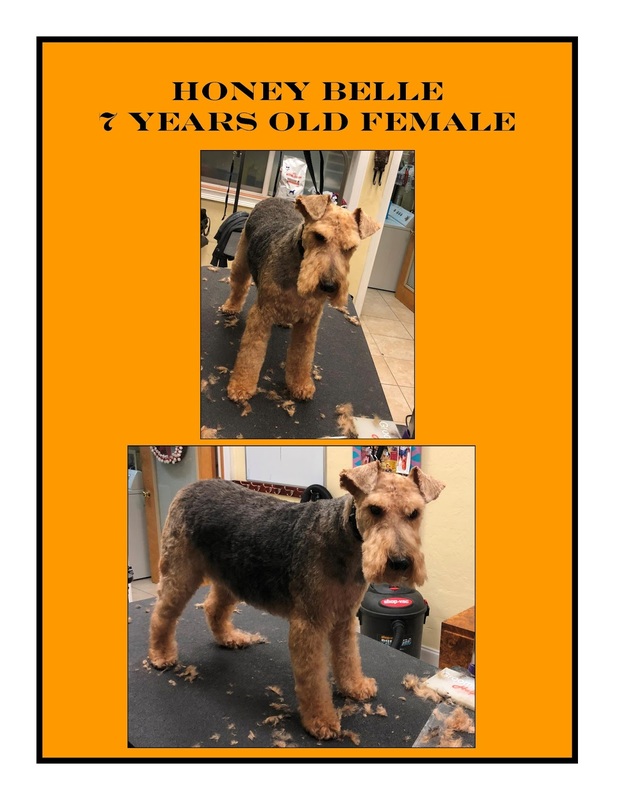 Honey Belle is a typical 7 year old Welsh terrier spayed female. She was originally owned by a senior couple. The husband died and the wife went into a mental care facility. A family friend took her in. Even though she had good intentions, she was totally unfamiliar with the breed. Honey Belle ran away on her several times and like a typical WT though the game of chase was very fun. She also didn’t get along with a female pug that she owned. After we got her and evaluated her we found out that Honey Belle had been professionally trained, she walks very well with a chocker chain and she knows basic Obedience exercises. She has also been trained with an E-Collar to address the not coming and running away. Honey Belle has had skin issues throughout her life. She has had a lot of success with the new drug Cytopoint. At the moment she had only a couple of small spots on her belly that we are treating with a topical spray. 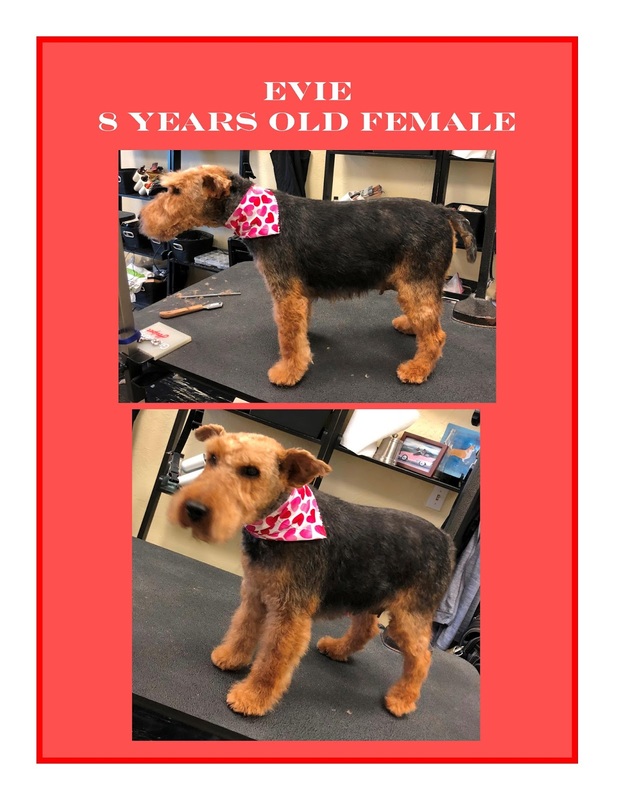 Evie is a delightful Welsh terrier spayed female. She was part of a big rescue operation that WTCares did in Florida. She was part of a puppy mill in the East coast of Florida. Evie was one of the ones that was on the worst shape. She had an awful skin condition and the worst mastitis we’ve ever seen. We don’t know if she had puppies recently or just a false pregnancy. She has a little piece of her ear missing; fortunately it can be disguised with grooming. She got spayed, had her teeth cleaned and was treated for her conditions and now she’s ready to go to a new home. We don’t know her original name or her exact birthday, we guessed that she was the 8 years old one but she could be a little younger. Seaplume Welsh Terriers. Simple theme. Powered by Blogger.